Recent archaeological reconnaissance and excavation on western San Miguel Island have uncovered the remains of a multicomponent and multiethnic historical base camp. Surface collections and small-scale testing identified the remains of three late-19th-to early-20th-century hearth features, faunal remains associated with intensive abalone fishing, and evidence for marine-mammal hunting and processing. Although prehistoric, historical, and modern flotsam and jetsam have been mixed by coastal erosion and seal and sea-lion activities, artifact analyses reveal that CA-SMI-614/H was serially occu-pied by the Island Chumash and their ancestors, 19th-century Chinese abalone collectors, early-20th-century Japanese hardhat divers, and European American seal hunters. 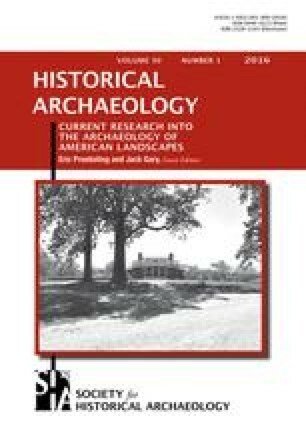 The site offers a unique glimpse into the historical maritime occupations of southern California and provides critical data on an important but poorly understood period of Pacific Rim history, when fisheries in western North America had become a crucial part of globalized food exports.